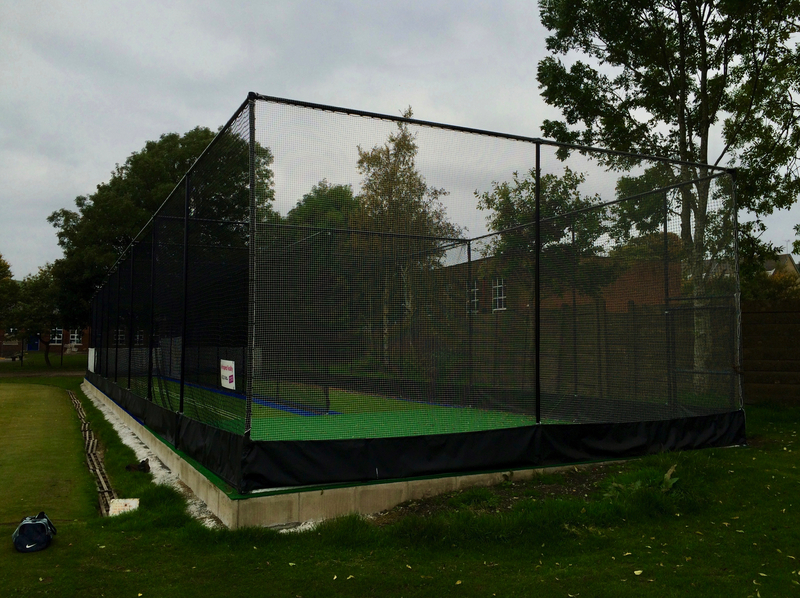 With expanding junior and prospering senior cricket sections, Lancashire side Bacup CC was looking to invest in a new synthetic cricket practice nets facility to allow coaching sessions to continue when ground conditions would not usually allow. 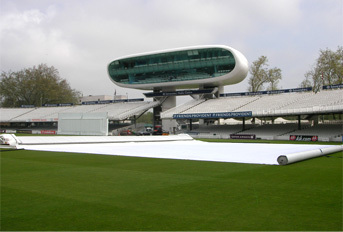 Having gathered quotes from a number of suppliers, club representatives visited other local clubs to view ECB approved non-turf systems installed by each company and discuss performance with players. 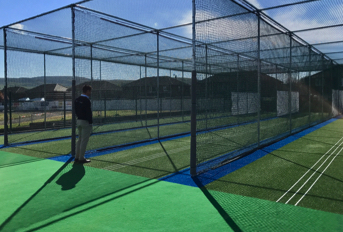 With total-play having impressed on both counts and coming in at a competitive rate, consultations were held with the company on site to identify viable locations for the new cricket practice nets facility. An underused and crumbling concrete seating area, close to changing facilities and within the confines of the ground, was identified as a potential location and its regeneration met with enthusiasm from the club. With the site agreed, work commenced on building a new synthetic cricket practice nets facility to total-play’s tp365 ECB approved non-turf system design. The site, whilst ideally located, was not without its challenges. 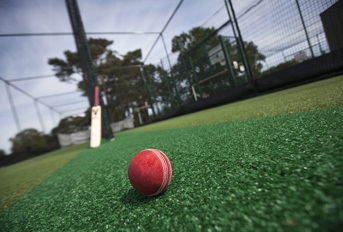 Existing surface levels presented a difference of around 800mm across the intended line of play, and before installation could begin total-play’s in-house team needed to remedy this. 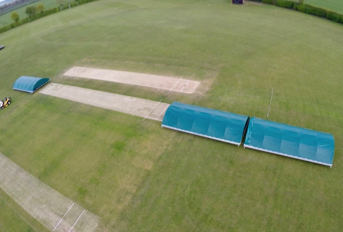 The proposed remedial works consisted of a balanced ‘cut and fill’ exercise with retaining feature to maintain the integrity of the total-play 30-year base warranty, whilst providing playing surface levels within those set out by the ECB guidance notes. 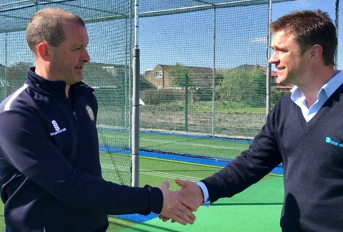 An on-site planning meeting between total-play and club representative, Graham Naylor, was conducted to explain the solution and discuss its implications. 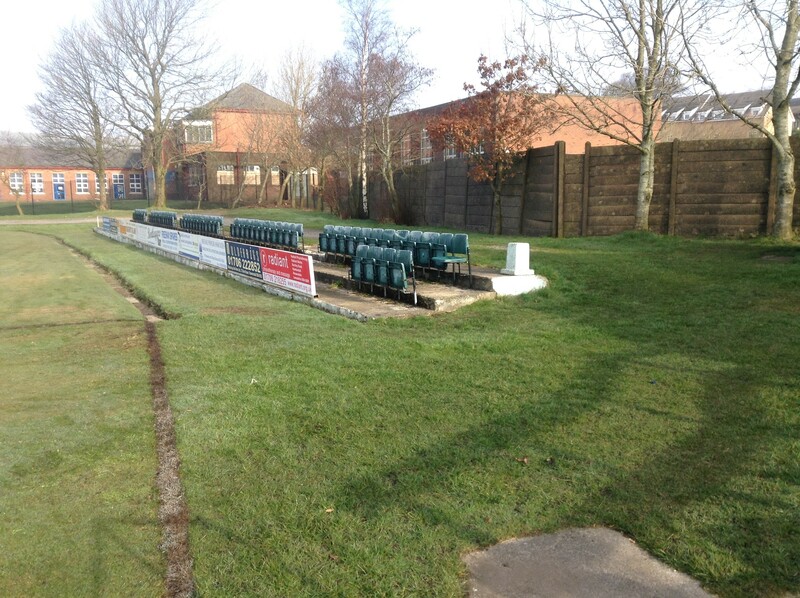 With a programme of works in place, the build process got underway and, with works taking place in a ‘high touch’ area of the ground – which doubles up as the clubs bowling green – additional care had to be taken to avoid risk to club members and cause minimal disruption to activities. After the clearance of existing concrete formations, work began on building up the levels with fresh imported aggregates and concrete retaining structure. 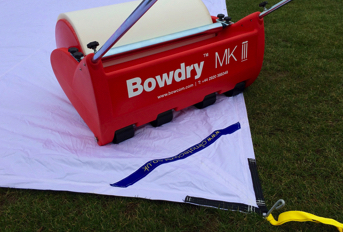 Final playing surface levels were then delivered accurately using company-owned laser controlled grading equipment. The specification was completed with the tp365 ECB approved non-turf playing surface fitted with green wilton woven carpets with company blue accents; black HD Protection Tunnel netting, 500mm protection skirting, black powder coated steelwork, wrap-design batting curtains, white stump lines and a pedestrian access gate to restrict unauthorised use.